The sun is shining and the weather is finally warm! Design doesn’t stop inside your home – bring your snazzy style outside where you can enjoy the sunshine on your flawless patio. A fun way to add life to your furniture is with throw cushions – the brighter the colours the better! A wild outdoor cushion will be sure to catch everyone’s eye. The best part is that they are simple to change out anytime you’re feeling like a change in colour or style! Not every one is lucky enough to have a covered patio but we have a solution. The next best thing is a canopy! Removable and easy to set up, a canopy will make your patio feel cozy and inviting. Hang twinkle lights from the top to create a warm ambiance in the evening. With all your furniture underneath, the rain can’t stop you from enjoying the outdoors! 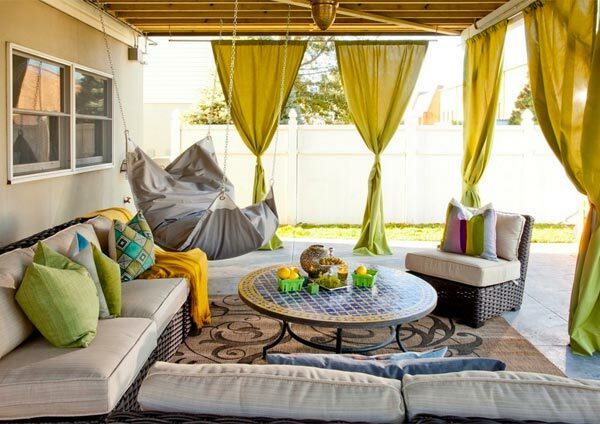 A DIY canopy is a great option too – completely customizable to suit your patio. Hanging colourful material over a seating area creates a vibrant atmosphere. 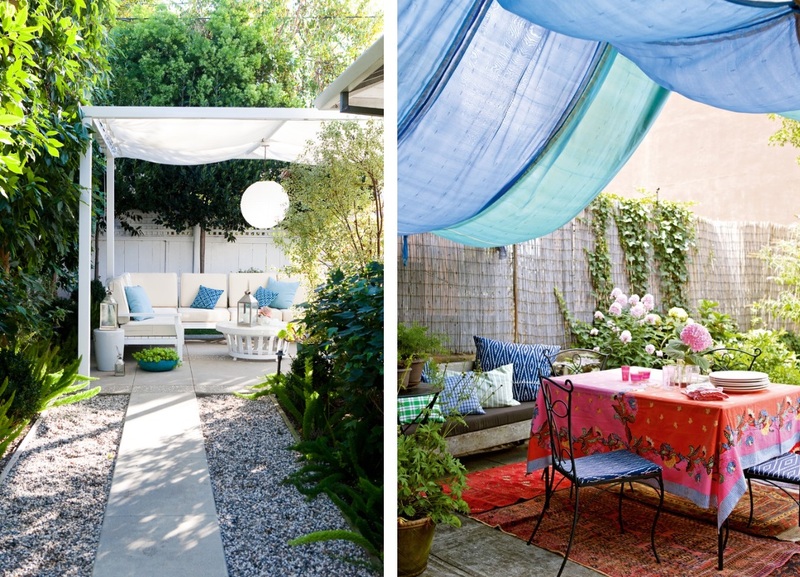 A vintage-chic look for your patio can be created by combining different materials. 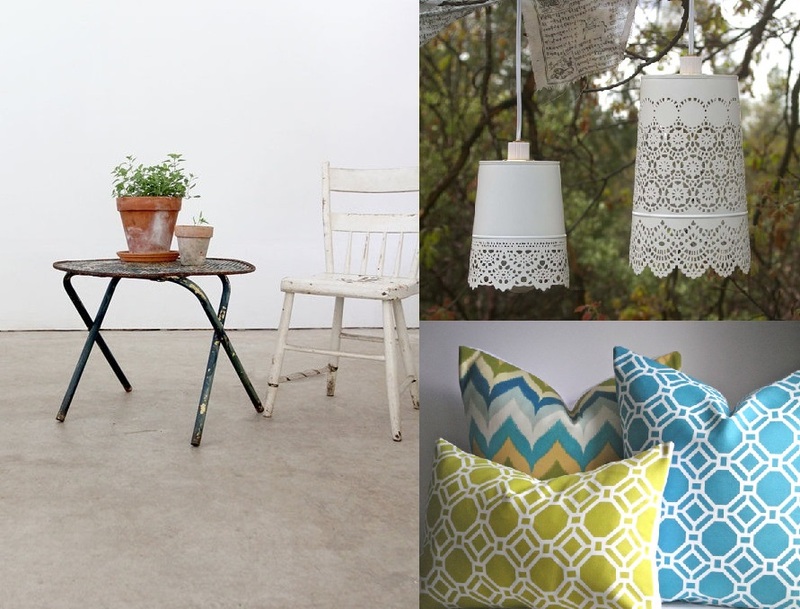 A worn side table and vintage chair joined with a lace pendant light, create the perfect vintage-chic feel. Add some colourful cushions and you’ve got a very welcoming and stylish seating area.